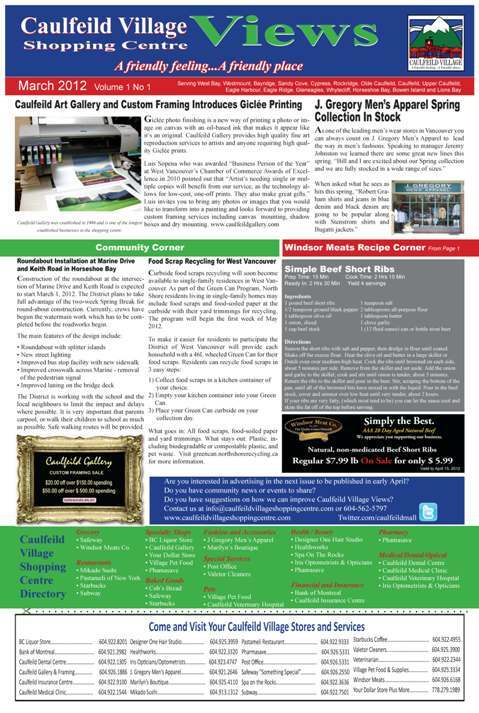 The Caulfeild Village Merchants Association has published the first edition of a new community newspaper called Caulfeild Village Views. 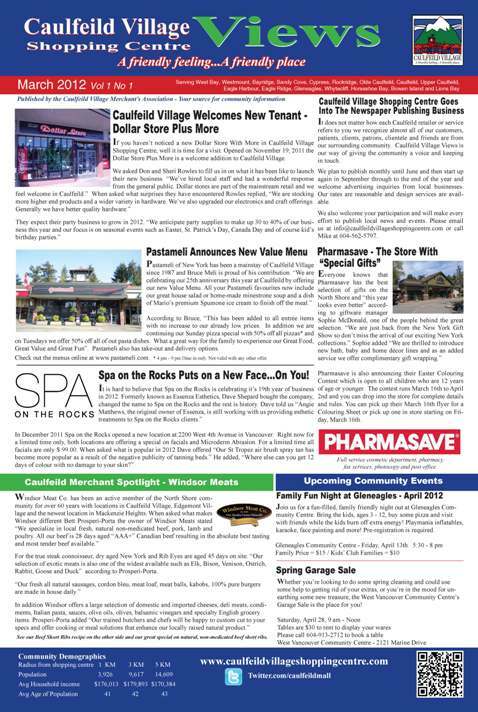 Watch your mail the week of March 19, 2012 for your copy. It will be delivered monthly to every home from Westmount and West Bay in the east all the way to Lions Bay and Bowen Island. Get a sneak peek by clicking on the links to the newspaper below.